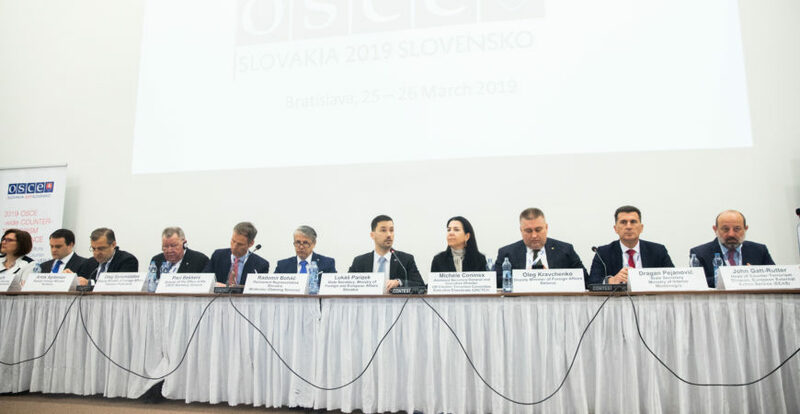 To lay the groundwork for its programmatic expansion into Central Asia, the SCN attended the 2019 OSCE-wide Counter-Terrorism Conference hosted by Slovakia in Bratislava, held on 25-26 March. 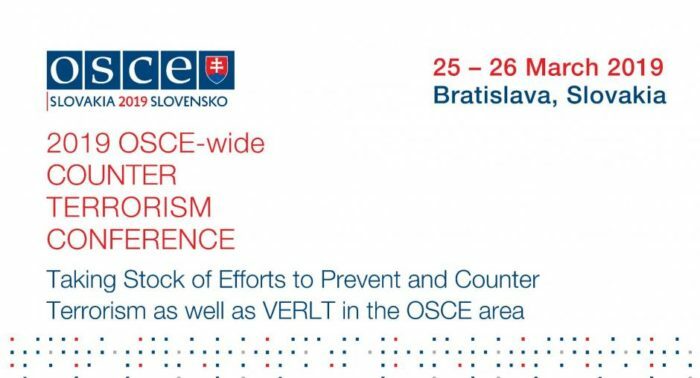 Focusing on region-wide efforts to prevent and counter violent extremism (P/CVE) and radicalisation, the high-level conference gathered state representatives from OSCE member and partner states. Also in attendance were representatives from international organisations, UN agencies, academic and business circles, as well as local and international NGOs. The OSCE draws its reputation in the Western Balkans and Central Asia from years of delivering multiple activities in the region through its field offices, which allow for very tailored missions based on in-depth understanding of the local contexts. The event was an opportunity for the SCN to share its experience of work in these regions as well as to inform future engagement by taking stock of states’ positions on issues related to violent extremism, by learning more about other organisations’ work, and by meeting potential partners. During the side-event ‘Advancing collaborative engagement: lessons learned from P/CVE networks and hubs’ , co-hosted by SCN, the Global Center on Cooperative Security and Forum MNE, SCN Coordinator Marta Lopes presented the SCN’s flagship local prevention model, the Community Prevention Networks, created across six SCN member cities in Jordan and Lebanon. She explained the SCN’s plans to adapt and establish this model across the Western Balkans over the coming two years, and introduced its plan for future engagement in Central Asia. To find out more about SCN’s upcoming work in the region, please visit the dedicated SCN page. The conference covered a range of topics, including international cooperation in countering terrorism and the implementation of good practices in preventing violent extremism in the OSCE area; platforms for cooperation and coordination between governments and civil society; referral mechanisms and pre-criminal interventions; and rehabilitation and reintegration programmes. Speakers consistently highlighted the importance of adopting multi-stakeholder and inclusive approaches that include civil society actors, as well as the need to avoid one-size-fits-all models – all essential principles of P/CVE practices and mechanisms. The conference also made clear that while national governments in the Western Balkans and Central Asia have good reason to focus on disengagement, reintegration and rehabilitation, equal attention must be paid to considering the impact of returning foreign fighters on local communities and their own families. In this work, municipalities can play a major role. Due to their knowledge of local risk factors and their proximity to the communities, they are best positioned to ensure that social cohesion is maintained and reintegration efforts are sustained in an effort to re-establish peaceful and inclusive societies and prevent future violent extremist movements. The SCN is working on these issues, both advocating in public forums such as UNGA and through its own programming.